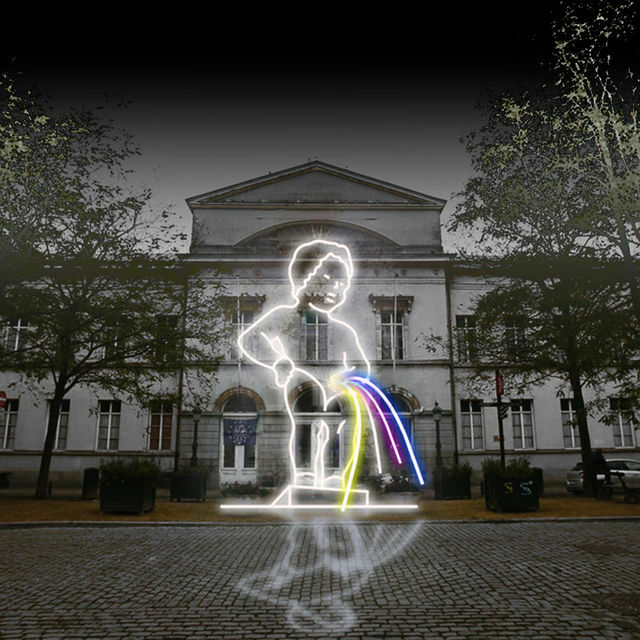 Triple Jet offers an homage to Brussels’ world-famous symbol: Manneken Pis. He stands here peeing, explicitly, in plain sight, easily visible and recognisable from afar. The size of this installation and the choice of symbol is a reference to the authenticity and individuality of our city, which rejects the progressive globalisation and standardisation of design patterns which threaten to make the city banal. Light is not only illuminating, but it is also a mechanism for change for the environment, society and politics. So, take a selfie, let everybody know that you’re here, and give yourself a unique souvenir of this fantastic light festival!